My Name is Jamare H. I was born and raised in Jacksonville, FL. Growing up wasn’t the best for me. I was faced with several obstacles daily. Not only to survive physically, but also mentally and financially. The single-parent household in a lower income area only added to the problem. If it wasn’t my siblings who were in trouble or just simply into some deviant behavior, it was my peers. Growing up I felt like a square, I was cornered. Each corner had someone close to me, brother, father, friend and consisted of something- that I wanted no part of, rather it was drugs, crime, jail, or skipping school. There was this saying that I would hear growing up “you are who you hang around.” For the most part, I never agreed until I found myself in the back of a police car. I was slowly becoming a product of my environment. When I was younger, I watched my father enter and exit not only the county jail but, also state and federal prison, which left my mother to fend for me and my 3 siblings alone. With a criminal record, jobs were harder to come across for him and he had lost most of his rights as a result of being a convicted felon. As time passed, I watched my brothers and everyday friends in my neighborhood become revolving doors with the criminal justice system. This was not the life that I wanted for myself or for others that have grew up in similar situations. In fact, I didn’t want this life for anyone. This led me to pursue a career in criminal justice. One that will allow me to work with juveniles to prevent them from becoming revolving doors with the system and fix their life while they have a second chance. 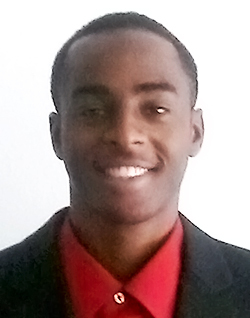 I was ecstatic to learn of the internship experience with E-SToPP. I applied, and after approval, I took on the challenge in hopes of helping with the molding of our future.